The regional council of Sardinia is located in Via Roma. It was opened in December 1988. 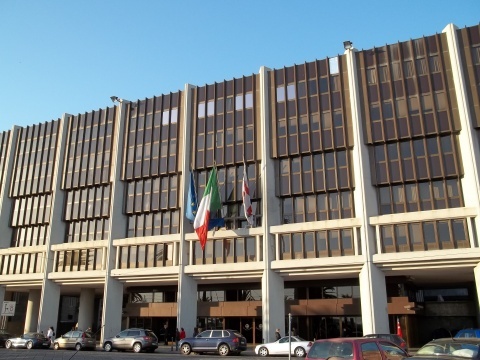 The Regional Council consists of three buildings: the first, in front of Via Roma, is structured on six floors with the offices inside, the second overlooks Via Cavour and is the seat of the Council Groups and the Library, and the third, the Assembly room, located between the first two palaces. A distinctive feature of the building is the use of granite for the paving. Under the arcades of the Regional building complex it is possible to admire the sculptures of the artist Costantino Nivola and the drawings made by Salvatore Fancello, all having the same subject, Sardinia and its people.